WE EVEN PAINTED CITY HALL! Is it time to brighten up your business? 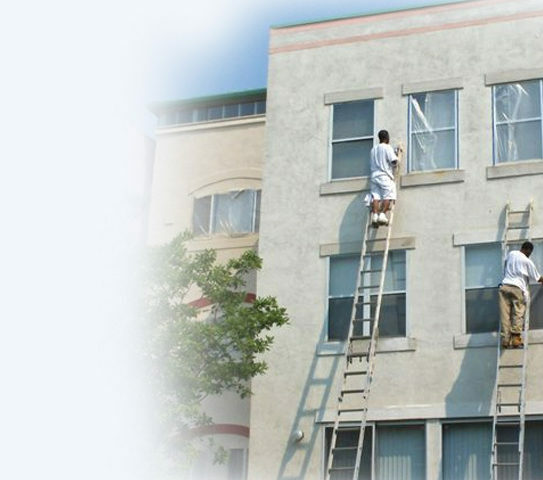 Look no further than our trustworthy, reliable, and efficient commercial painting services. The look of your business’s building can determine the success of your company. If the building’s exterior is in worn-down disrepair, your customers are less likely to choose your business’s products or services. On the contrary, a well-kept building can draw people in, setting you apart from nearby businesses. Like it or not, the appearance of your company’s workplace can make or break your business. 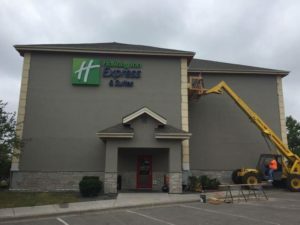 If you’re looking for interior or exterior commercial painting services to maintain or revamp your business’s appearance, Sharper Impressions Painting Company has the best painters and equipment to get the job done. We have 25 years of experience working with general contractors and HOA’s, so you can be confident you are hiring commercial painting professionals. Your customers begin to create an impression of your company before they even enter your business or office. 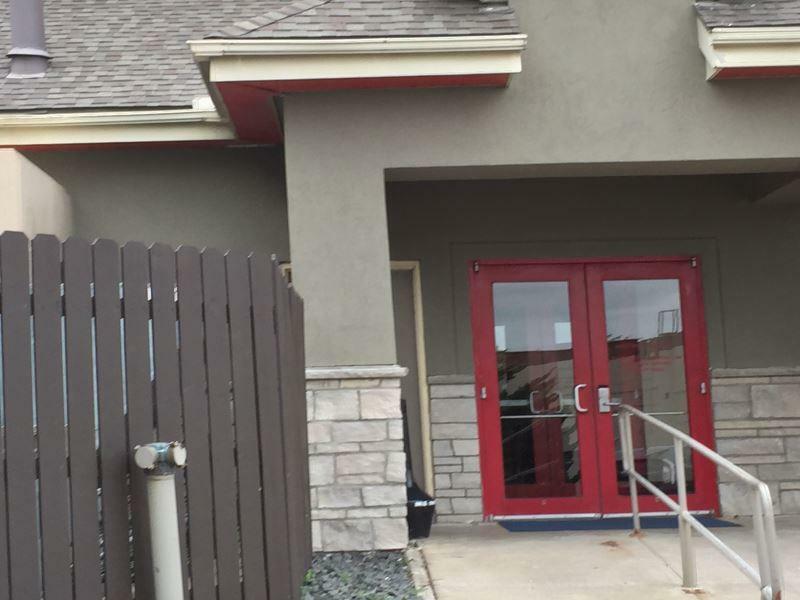 A beautiful exterior façade will draw in customers, and our commercial painters at Sharper Impressions Painting know how important this is to you. Our on-site procedures ensure correct preparation, application of paint, site cleanliness and safety. When your clients walk through your door, you want them to be wowed with a beautiful, clean interior. Whether you run an office and want your employees to work in a space that promotes increased productivity, or want to update the hallways for your condo association, our interior commercial painters can do it all. 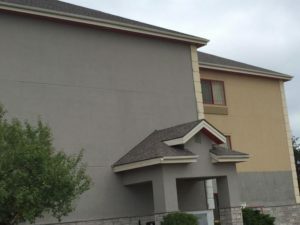 Sharper Impressions Painting knows how to handle the unique opportunity condo, apartment and homeowner associations provide. No single project is the same, and each one must be evaluated to develop a proper coating plan. We provide free color consultations and custom commercial paint solutions based on the association’s needs and budget. We have been known to paint projects over short term and long term needs to accommodate our HOA’s. Painting multi-unit residential complexes means serving and satisfying several different groups. 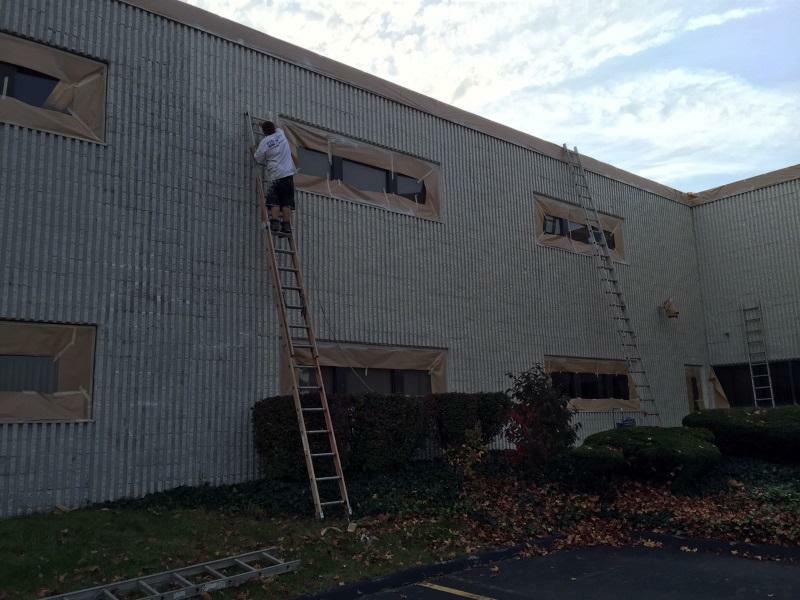 Our commercial exterior painters are guided by strict operating protocols. On-site procedures control environmental, safety, surface preparation, application, site cleanliness and employee behaviors. New drywall is extremely porous and can soak up a lot of paint, often resulting in an uneven color and sheen if not properly sealed first. Our commercial painters use industry leading primers to ensure that newly installed drywall will have a professional look once top-coated with a quality paint and your custom color. The finishing touch on any interior new build! Like most hospitality facilities, the interior and exterior in active restaurants can take a beating. Accumulated blemishes detract from the decor and compromise the food and attentive service. Your restaurant is an extension of your patrons’ kitchen, a place to enjoy and be most comfortable. Make sure your high standards include the paint on the walls in dining rooms, restrooms, or front entrance; any place your customer can see is a point on which you will be judged. 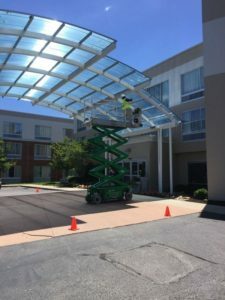 Commercial power washing can help enhance your property’s appearance and offer a more cost-effective plan than other alternatives. Sharper Impressions Painting has the capabilities of cleaning various surfaces and structures back to new, in many situations. 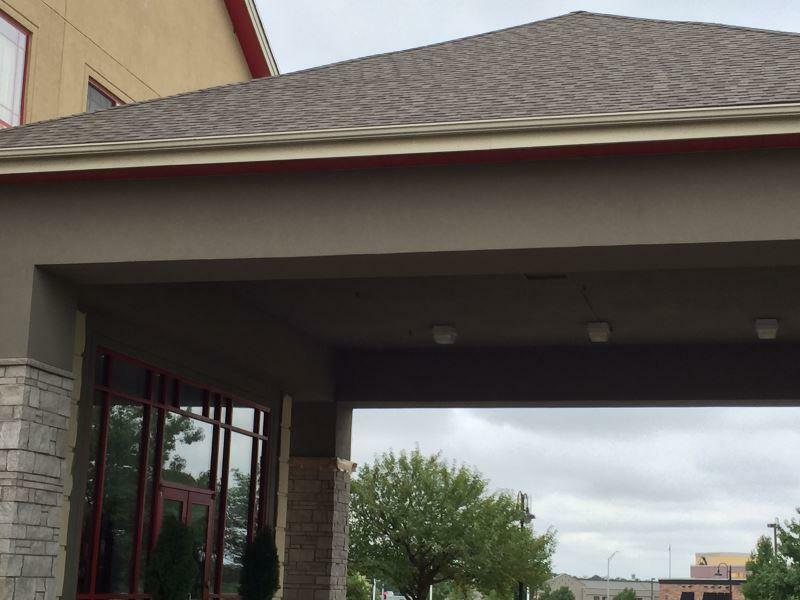 Surfaces successfully cleaned include concrete, pre-cast, EIFS, brick, stucco, aluminum, block, and vinyl, to name a few. A store’s interior is the backdrop for its merchandise. It’s important for modern retail environments to stimulate the customer to keep them coming back. A clean, well-coordinated color scheme is a great foundation on which to arrange fixtures and point of purchase materials. We offer after hours commercial painting for existing retail stores, so your clients’ shops can be open while the professional painters work during their closed time frames. Sharper Impressions Painting provides sustainable, state-of-the-art roof coating solutions to the problems associated with aged Metal Roofs, Hypalon®, TPO, & EPDM single ply membranes, and many other types of roofs. 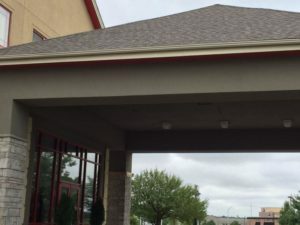 Depending on occupancy fluctuations, the type of facility or season, our commercial painting company can engineer a painting project with minimized impact on your guests or operations. 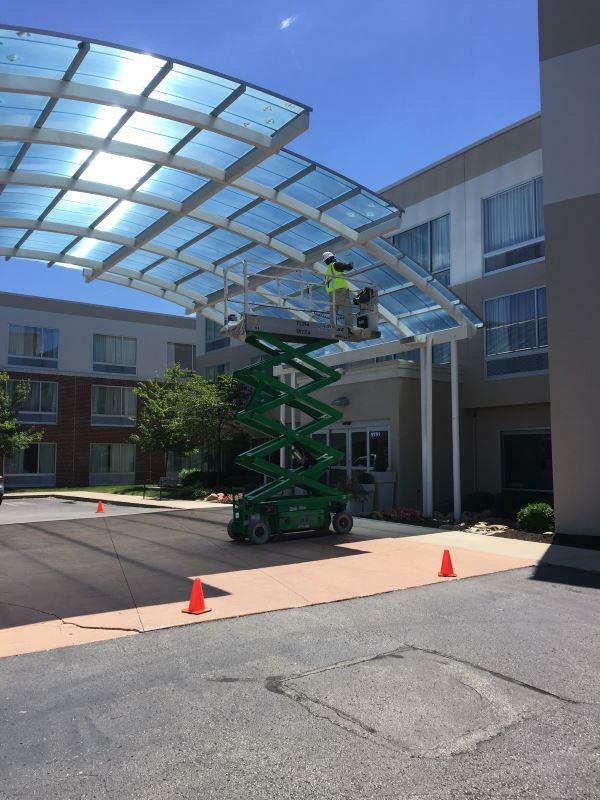 We can even use low odor coatings and assign “stealthy” paint crews to your hotel painting to minimize interruption in your workflow. Sharper Impressions Painting has the knowledge, skill and experience to paint even the most difficult areas of your church. Our professional commercial painters have the skills and training to paint any steeple and any height ceiling that you may have. 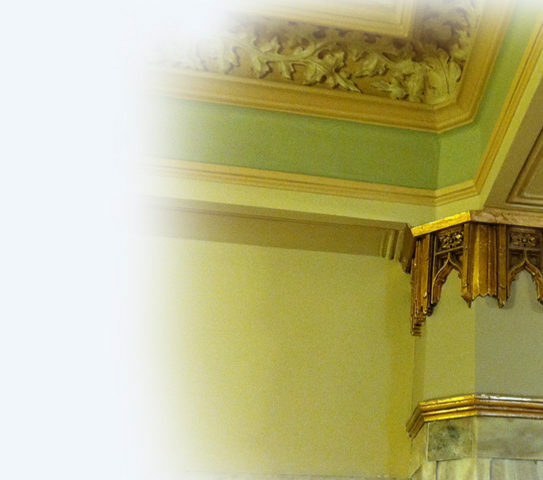 Our painters are excellent with detailed finishes around intricate trim, murals, doors, altars, and sanctuaries. 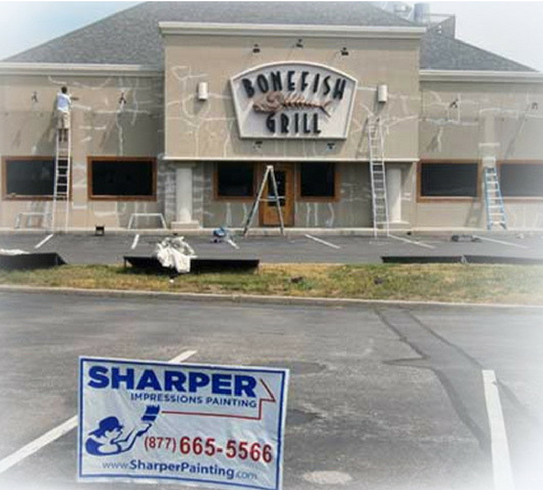 Sharper Impressions Painting serves as a one-stop-shop for specialty painting and faux finishing services. From murals to corporate logos to faux finishes, Sharper’s range of commercial decorative finishes extends to fit any of your needs. A professional spray finish is a first-class paint application used for many surfaces. We use the very best spray technology on the market with the likes of Graco and Titan. We have the ability to deliver workshop quality at assembly line speed. Ceilings, floors & walls…whatever the substrate, we have painted it before. We provide a full complement of masonry restoration and new construction services that will ensure your project suits your vision, your needs, and budget. We’re well versed in the maintenance, restoration, and tuck-pointing of brick, stone, and block. When prepared and applied properly, painted masonry surfaces can be the longest lasting exteriors in the business. We offer free, no hassle painting quotes designed specifically for your wants and needs for your commercial painting project. Our quotes are computer-generated in a very timely manner. We go through your quote specifications with to ensure all details are to your exact expectations and blueprints.